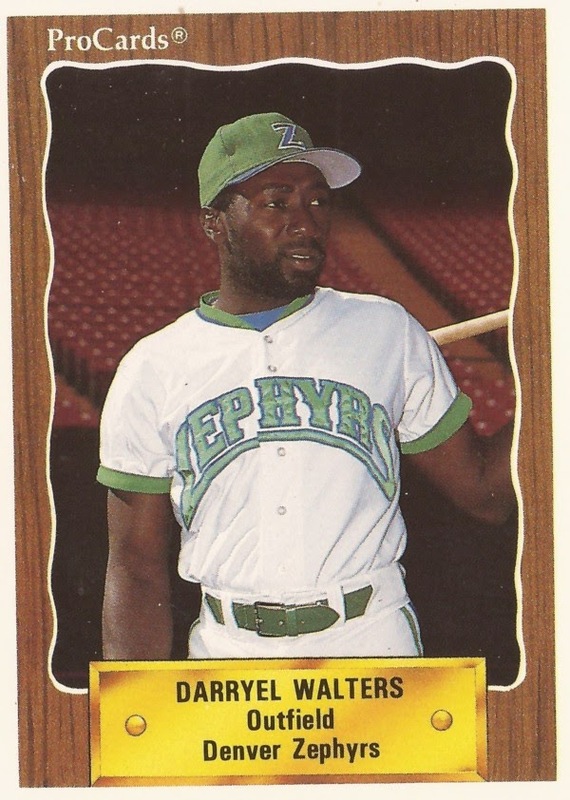 In his fifth season in the minors, Darryel Walters was pretty satisfied with his progress, he told The South Florida Sun-Sentinel in June 1988. At the same time, though, he realized the Brewers had several good outfielders. Walters had made it to AAA, but he also wasn't playing every day. "It's definitely something to be concerned about," Walters told The Sun-Sentinel. "If the Brewers don't have room for me, I hope someone else will. I want to make it to the big leagues. I hope to make it with the Brewers, it's a class organization." Walters never moved to another organization. He also never made the majors. His career ended two seasons later, still at AAA Denver. Walters started his career in 1984, taken by the Brewers as their first pick in the secondary phase of the June draft, out of Miami-Dade College. Walters started at rookie Paintsville, hitting .279 in 60 games. The Milwaukee Journal tagged Walters as "a player to keep an eye on," noting he had a quick bat. At single-A Beloit in 1985, Walters used that quick bat to hit 24 home runs, with a .269 average. He made AA El Paso in 1987, hitting .311 with 22 home runs. He hit one of those home runs in an early September win. Walters made it to AAA Denver for 1988, playing the whole season there. He got into 105 games, hitting .247 with nine home runs. In April, a Walters three-run shot helped Denver to a 5-2 win. Walters, though, split 1989 between Denver and El Paso, hitting .267 between them. For 1990, he returned to Denver. He played in 100 games there, hitting .244, ending his career short of the majors.